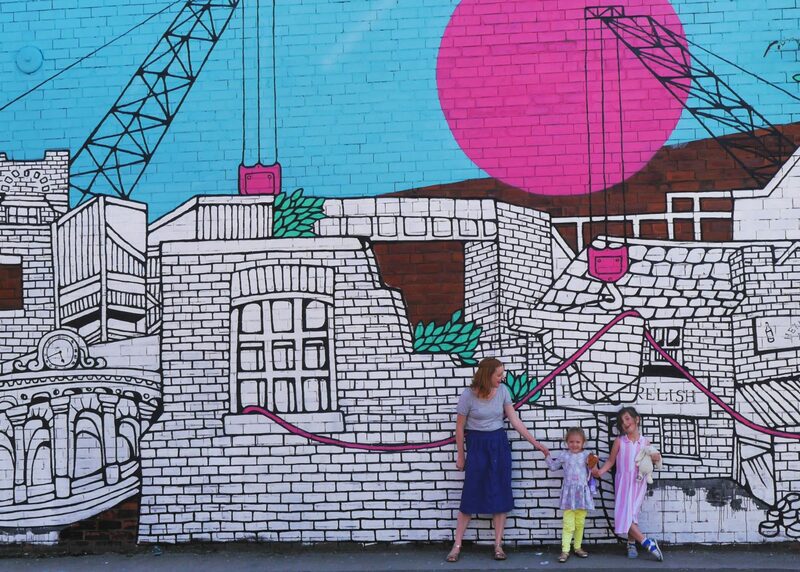 There are many ways that London changes when you’re a parent, not least how you spend your time (goodbye leisurely shopping sprees and long weekends spent drinking) but these are some of our favourite, kid-friendly, mainly free, ideas for when we venture out with our two in tow. Make sure you also read my tips on how to use London’s public transport with a pram, and if you’re not at the children stage just yet, here’s how to get a baby on board badge. And if you have any firm favourites I’ve missed off, leave a comment and let me know. Museums: There are SO many museums in London and lots of them are great, like all the big ones – the Science Museum, Natural History Museum, The Transport Museum – and of course the Horniman Museum if you’re further south. Public transport: Sounds like strange one to recommend as it can often be a nightmare, especially when you have a pram and it’s busy (which is, lets face it, at all times). But London it’s a city that includes trams, a cable car, buses, trains, a monorail, boats and a train that goes under the ground. Which is the most fun when you’re small. E loves nothing more than sitting on the top deck of any bus, pretending to drive it. Or going down to Ikea Croydon on the tram, the joys. Animals: London Zoo, with newly added lions at the moment. There’s a surprising amount of city farms – we used to live in Crystal Palace really close to Crystal Palace Park Farm. There’s also an aquarium at the Horniman that includes the much-Instagrammed glow-in-the-dark jellyfish. Art galleries: In terms of the best things for toddlers to do in London, the Tate Modern is still our favourite (despite this incident). There’s lots of space to run around, great things to look at and decent eating options for everyone. Parks: Here are our favourite London parks – but there’s so many good green spaces. Play parks: We’ve still not visited any of the big parks like Comram Fields or The Princess Diana Playground – both are on the list. But at the moment we spend a lot of time in local ones including Crystal Palace Park, the Bromley ‘sandpit park’ but mostly our local local little park. I don’t think you can go far wrong with any of them at this very young age. Touristy sites: We mainly avoid these like the plague, but have taken a couple of detours via Buckingham Palace, because it’s where the Queen lives, and that’s kind of a big deal when you’re four. Walks: Go along the Southbank (with a trip into the Royal Festival Hall). Covent Garden is good, but parts of it are a nightmare with a pram due to the cobbles. Walking down Carnaby Street when the Christmas lights are on can be lovely. Eating: I’d love to say my children are complete foodies who love nothing more than going to the latest London pop-up restaurants, but that would be a) a lie and b) expensive. So Pizza Express aka ‘the pizza cafe’ or Giraffe are still the favourites, and they are everywhere. Or any cafe, or going to M&S for a park picnic. Drinking: One for the adults! It’s hard to find good pubs with play areas and beer gardens in London – let me know if you know any! But there’sThe Paxton in Gypsy Hill (with beach huts and a play area in the garden) and The Florence in Herne Hill. 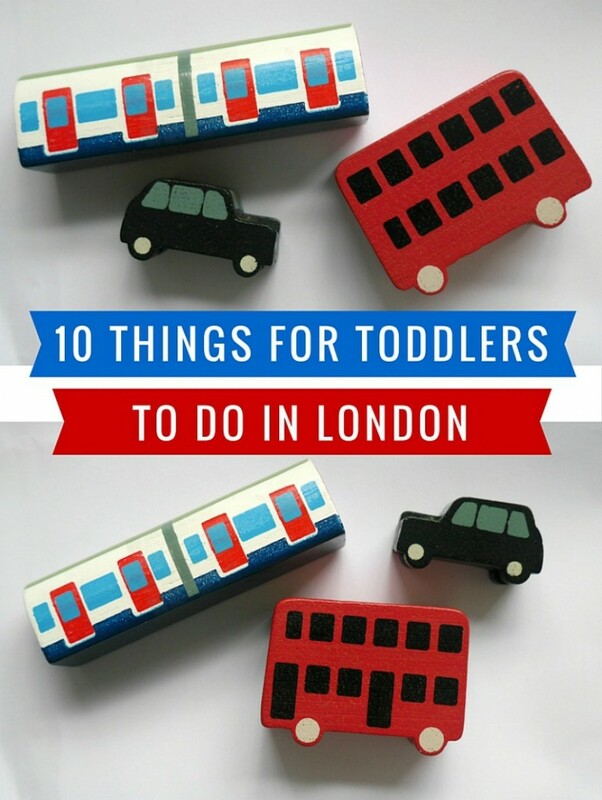 So many fab ideas here – lots we did when G was a toddler and lots that she’d still enjoy now! gah! wish we weren’t so far from london!! The princess Diana playground is definitely worth the trip – it’s amazing and if you went on a summer day in school time you could easily spend a whole day there at toddler pace!